For the 2018 Winter Olympics, Toyota renews their commitment to hybrid, electric and hydrogen vehicles to create a sustainable future with ever better mobility for all in their Start Your Impossible campaign. “Frozen” features beautiful ice art and was Directed by Elastic’s Patrick Clair with a52 VFX Supervisor Urs Furrer along with Color by Paul Yacono and edited by RPS’s Biff Butler. 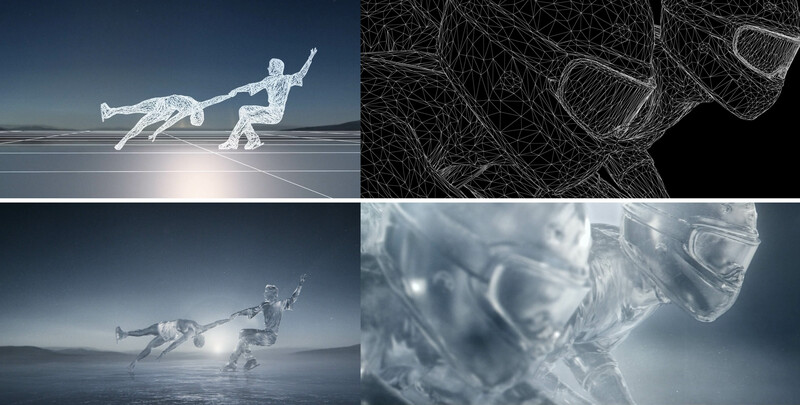 Watch below how real ice sculptures of epic Olympic moments frozen in time take on a graphic, slick and dramatic look in an journey of light and heat in this breakdown of the Toyota “Frozen” Olympic spot.